Recently a SikhNet visitor emailed us asking why the Sangat here in Espanola, New Mexico worships Hindu idols. In this video, Guruka Singh and Gurumustuk Singh question the question. 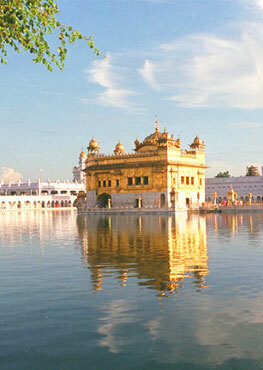 The SikhNet Learning Center is meant to provide training in Sikh values, lifestyle and history. Clear, easy-to-use tools make learning a pleasure. Find inspiration from many different storytellers and teachers and connect with other Sikhs, spiritual seekers and family. SikhNet is hard at work on our SikhNet Learning Center, a new online resource for learning Sikh Values, Lifestyle and History. Between now and October 21st, we have a unique opportunity to raise $50,000 for this project. An anonymous donor has offered up to $25,000 in matching grants funds to help us fill the SikhNet Learning Center with the content you have been asking for. 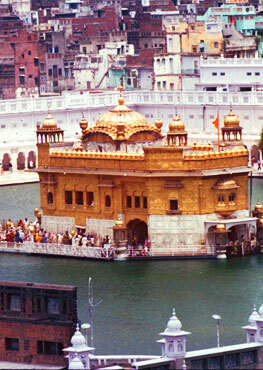 This is a beautiful video that gives a narrative of the life of Guru Ram Das. This video explains very well the compassion, and love Guru Ram Das embodied. No one understood him but he didn't care. He lived in a deep longing for Guru Amar Das, until one day to his surprise he became the 4th Guru. How Do I Stop Re-Living Mental Dramas/Traumas? We know that it's not happening now, but we relive it in our mind, over and over, and the pain of that event comes back. I call it "playing your old video tapes". It's like a home video in your head. We play, and then rewind, and watch the same part over and over again. Because of the value of human life, suicide is a great tragedy. So that soul has to begin its journey again. That means going through all 8.4 million incarnations. The bottom line is you have to do the work. Guruka Singh is asked the question "What is the difference between a Sikh and a person of a different religion?" The answer is there is no different if you are talking about "religion". Religion is just a label. "All religions are equal... IF you live them as a spiritual person." As part of a series of videos from talks done at the 3HO community, Jagraj Singh (BoS UK) and Harman Singh (BoS Canada) meet Gurumustak Singh and Harijot Singh at the SikhNet office to have a conversation about unity and non-jugdemental attitudes. Note: this was also aired live on Facebook. What started as a few private collectors showing their collections of artifacts quickly developed into a place for many Sikhs to tell their stories.